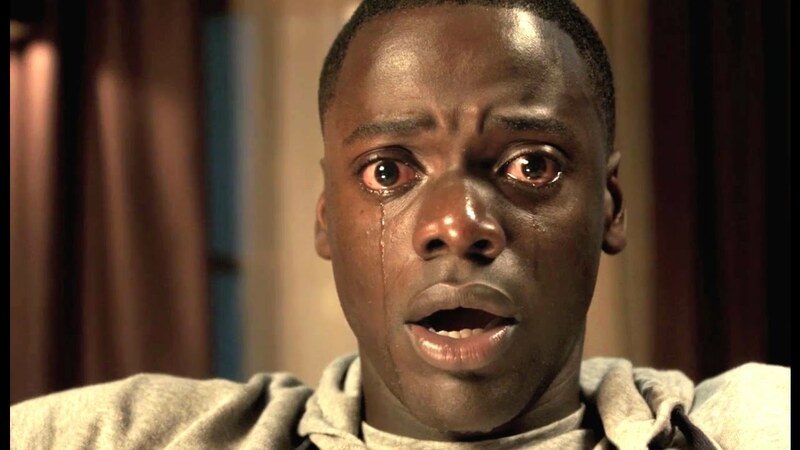 GOSH!ABOUT: GET OUT – Picking Cotton to Save Your LIFE! – GOSH!About: Fashion. Art. Music. Events. TV. Non Profits 'N' Lifestyle > Subscribe now! The movie has been the talk on every radio station, tv show and movie critics. The main shock of a black man directing a successful horror/thriller which has a black actor as the Lead, with features of several black characters with lines. HOW? and WHY? I must say, I’m not the one to sit and watch horror films… just not my cup of tea ( no pun intended), BUT this one was more on Mental Terror and really thinking smart. This movie had me in stitches .. literally shaking every time she stirred that tea cup with the silver spoon. Let us talk about that “SILVER SPOON”. GET OUT was seriously linked to the relevant issues happening in the United States specifically. Stemming from slavery of the past to the New modern slavery of 2017 of white supremacy vs coloured people and immigrants. In this movie, an interracial couple, played by Daniel Kaluuya “Chris” and Allison Williams “Rose” who on a weekend after dating for 4 months invites her boyfriend to meet her parents who are very wealthy living in the suburbs, yet this weekend turns racially ugly and becomes life threatening in every way for Chris. There were so many subliminal messages throughout this movie relating to race and discrimination. The interaction of white people meeting a black man and the many underlays of racial wording, for example, when the couple was on their way driving and accidently hit a deer, for her father to say ” I hate bucks (deer), there are so many of them. We need to get rid of them all which will make this place A better place for us.” WOW! how many times have you been in such types of subliminal conversations that created such fear? This movie also showed the un-comfortability people of colour feel when surrounded by whites and being the only one. You are questioned intensely about your childhood, you are looked at like an object such as how smooth your skin is, how strong your body looks and feels, wanting to always touch and feel a black person’s hair, body and skin. The wanting to know the secret to looking so young. Where did you receive your education because you speak English so well to then interjecting many popular “Black Culture” such as hip hop music, or Tiger Woods playing such great golf, or basketball a serious stereotype that ALL black people play this game… OMG, it goes on and on. Chris, the male lead, learns fast that something is off with this family. He picks up clues immediately, especially with his girlfriend’s mother, a psychotherapist who has forced herself, using the silver spoon in a teacup, stirring and tapping in a certain way, taking power through hypnotising Chris, to enter his mind and control him.A type of entrapment, imprisoned. Such ways used on slaves. The silver spoon means born rich, with power, inherited wealth. Not wanting to give any of the movie away… this film really shows the uncertainty when a person of colour dating a white person can enter into a situation that their partner’s family and friends can seem and be Liberalists yet their natural behaviour is brutally racist, fascist and severely discriminating that they blindly feel they are doing nothing wrong. Are they really that blind, though? Before I give it all away, go and see GET OUT. You will be changed by the end of the movie.